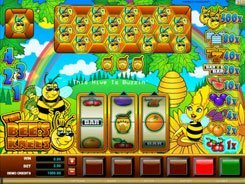 This colorful and engaging slot from Microgaming is based on a bee theme and is played over 3 reels with a single win line. The symbols are bee-related ones (beehives, bee heads, and honey pots) as well as traditional bars, sevens and fruits. 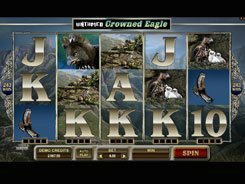 Your bet can be anywhere from $0.1 to $10 per spin. 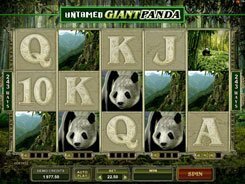 The top jackpot that can be yours reaches x1000 times a bet ($10,000 if playing at max), and this is paid out for hitting three Bee Head symbols across the payline. 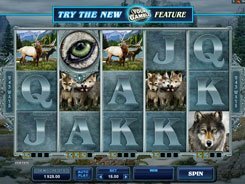 The slot offers Holds, Nudges, Shifta, Let ‘em Spin, Hold This Reel and Superhold features, some of them activated randomly helping you align winning symbols on the payline. Three Honey Pots occurred on the line unlock the Honeycomb bonus game played on the honeycombs shown above the reels. 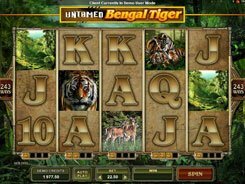 In this feature you are in with the chance of winning a multiplier between x10 to x120 your total bet. 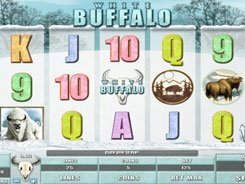 Overall, a plethora of features in this classic slot machine is surprising when it is compared with many other three-reel slots. PLAY FOR REAL MONEY!